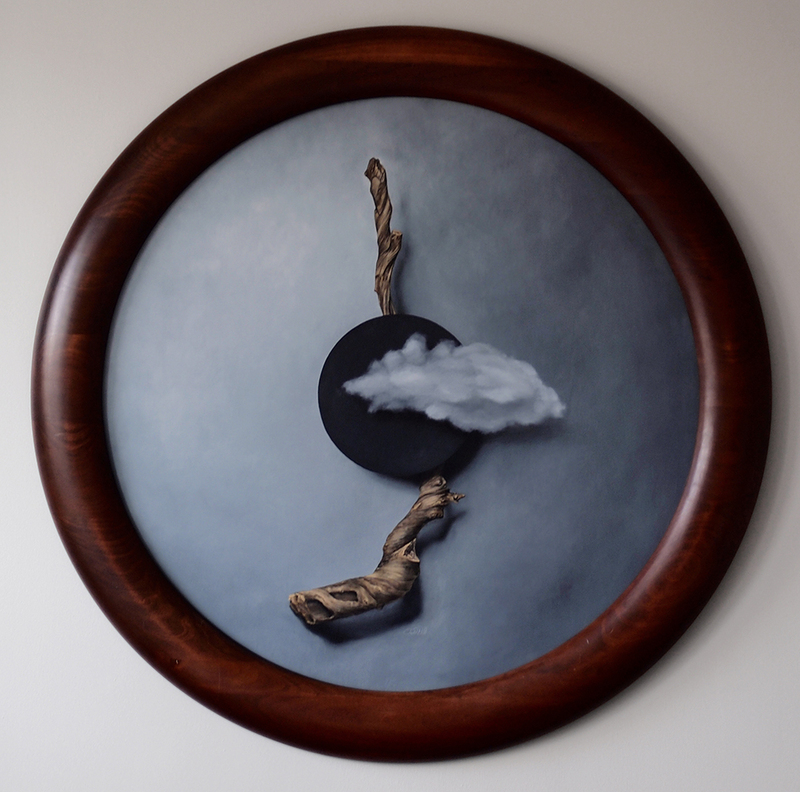 “Absolute: Totality”, Oil paint on panel. 40” x 40”. 12.16.17. I’m extremely pleased to announce that “Absolute: Totality” was accepted into the 73rd Ohio Annual Exhibit at the Zanesville Museum of Art. My piece is one of 59 works chosen for the exhibition by juror, Erin Shapiro, Curator at the Springfield Museum of Art, Springfield, Ohio. Thursday, June 21, 5:30- 7:30 p.m.
“Absolute: Totality”, Oil paint on panel. 40” x40”. 12.16.17. “Absolute: Totality” (detail), Oil paint on panel. 40” x40”. 12.16.17.